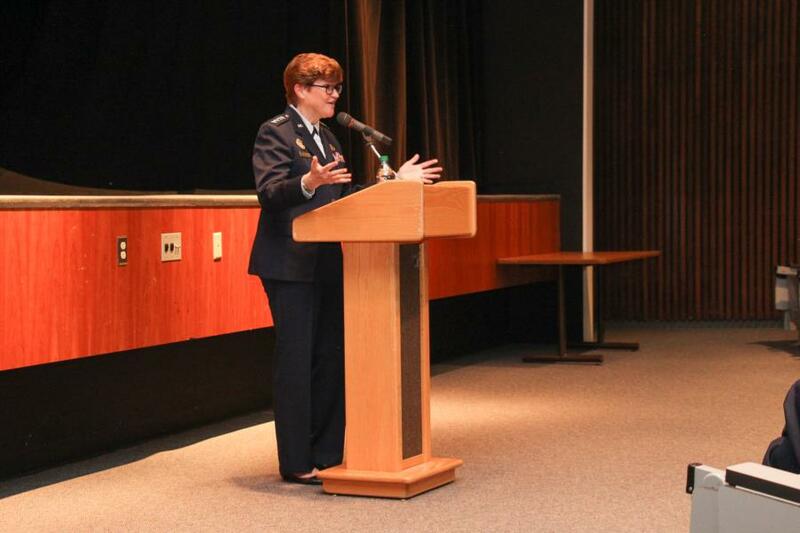 General (Ret) Wolfenbarger who visited the Prep School. 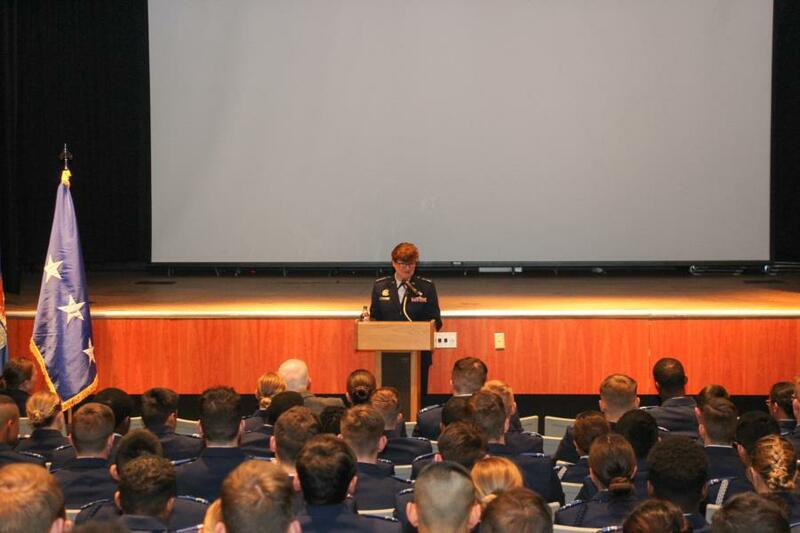 General Wolfenbarger was the Air Force's first female four-star general and she recounted her story as a female leader in the Air Force for Women's History Month. 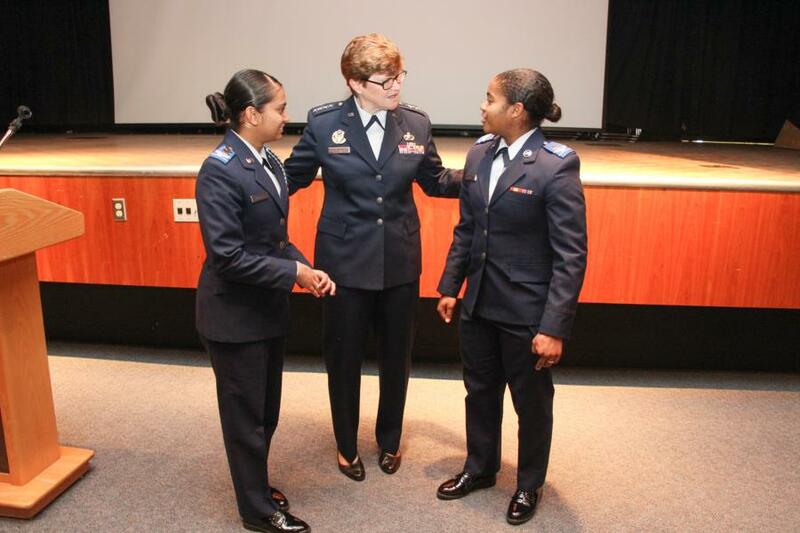 The objective was for cadet candidates to understand some of the unique hardships that women can face while serving. 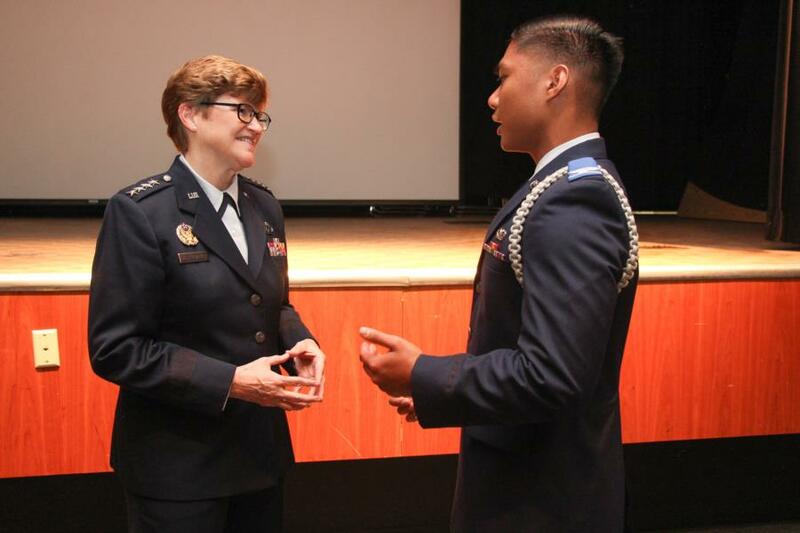 General Janet C. Wolfenbarger started her 35 year career after she was commissioned in 1980 as a graduate of the U.S. Air Force Academy. 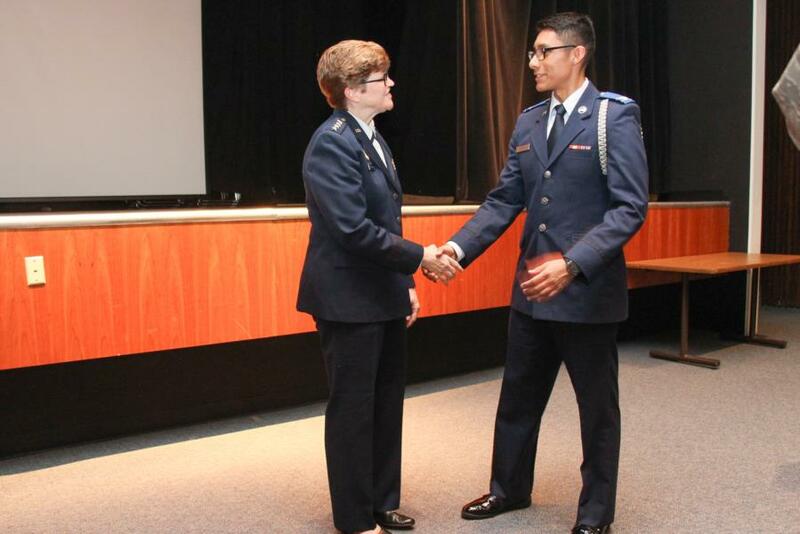 Beginning her career in Acquisitions as an Engineer at Eglin Air Force Base, Florida. 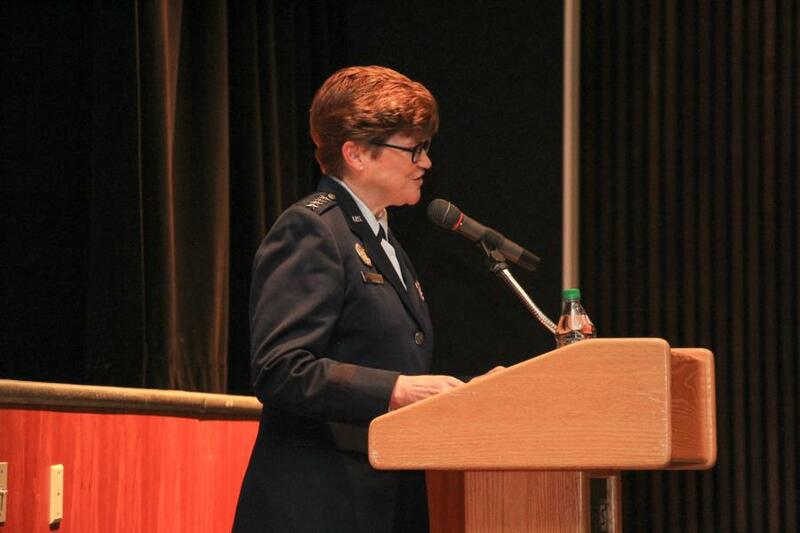 She has held a variety of assignments at headquarters Electronic Security Command and Air Force Systems Command as well as several positions in the F-22 System Program Office at Wright-Patterson AFB, serving as the F-22 Lead Program Element Monitor at the Pentagon, and was the B-2 System Program Director for the Aeronautical Systems Center, Wright-Patterson AFB, Ohio. 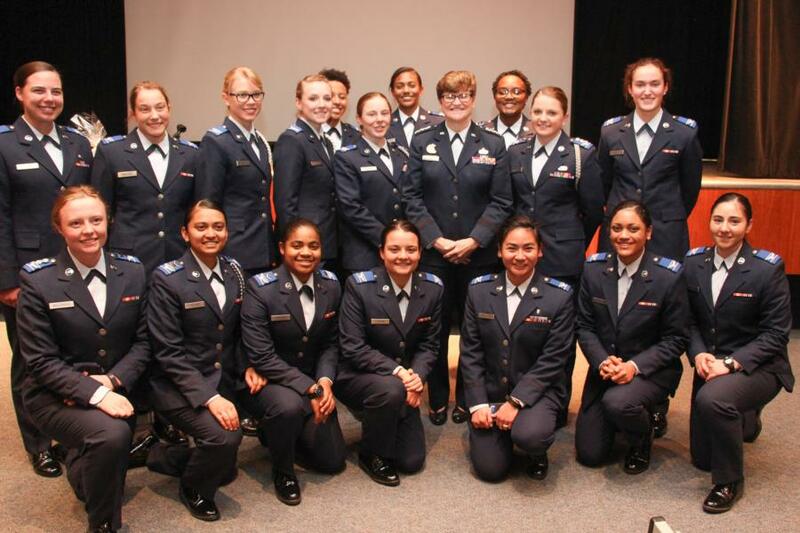 She commanded ASC's C-17 Systems Group, Mobility Systems Wing. 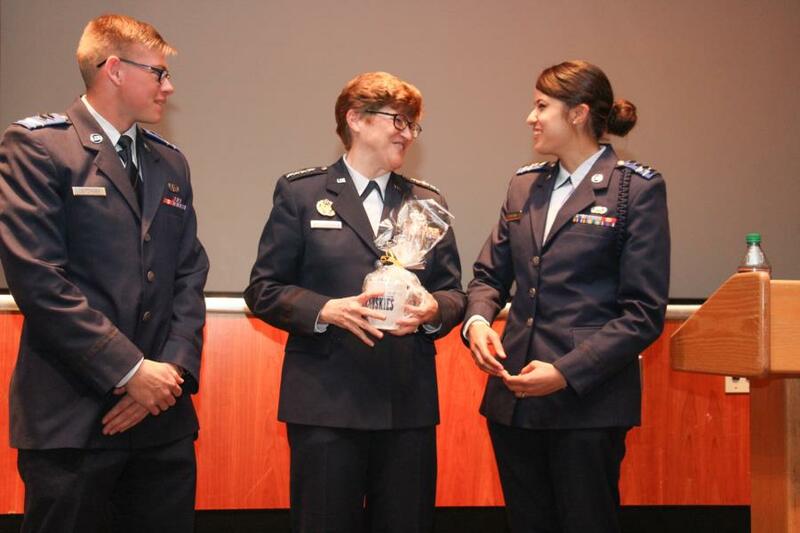 She was the Service's Director of the Air Force Acquisition Center of Excellence at the Pentagon, then served as Director of the Headquarters AFMC Intelligence and Requirements Directorate, Wright-Patterson AFB. 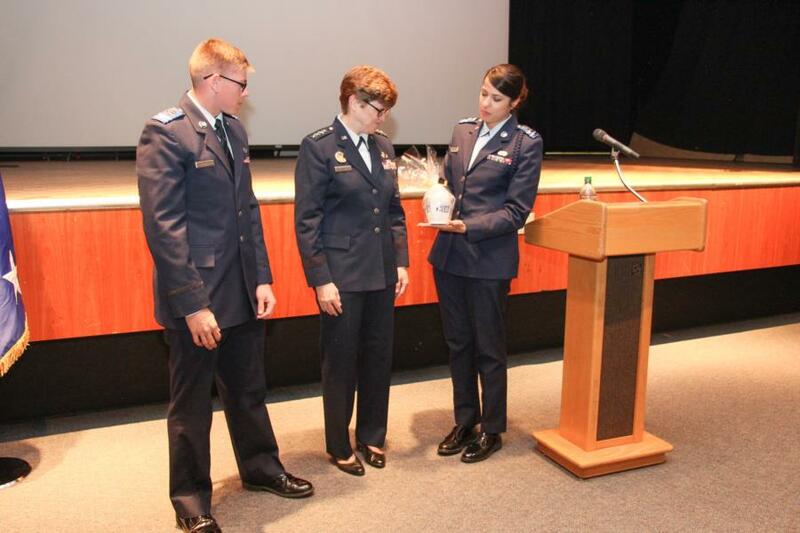 General Wolfenbarger became the first female Air Force 4 Star General and began her last assignment as the Commander at Air Force Material Command, Wright-Patterson Air Force Base, Ohio. This command employs some 80,000 people and manages $60 billion annually, executing the critical mission of warfighter support through leading-edge science and technology, cradle-to-grave life cycle weapon systems management, world-class developmental test and evaluation, and world-class depot maintenance and supply chain management. Her daughter was an honored member of Charlie Squadron last year in the Prep Class of 2017 and is currently a C4C at the Academy. C/C Daniel Leitzinger and C/C Raquel Chaparro presented a Husky Mug to General Wolfenbarger on behalf of the Prep School Class of 2018 and the Prep Staff. 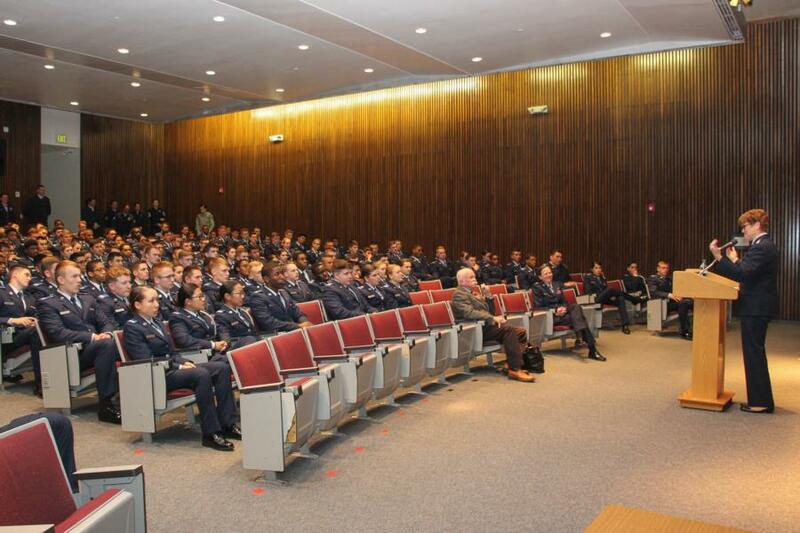 To view the rest of the pictures from General Wolfenbarger's visit go to; Classes - Prep School - Prep Life. Or click the link below.